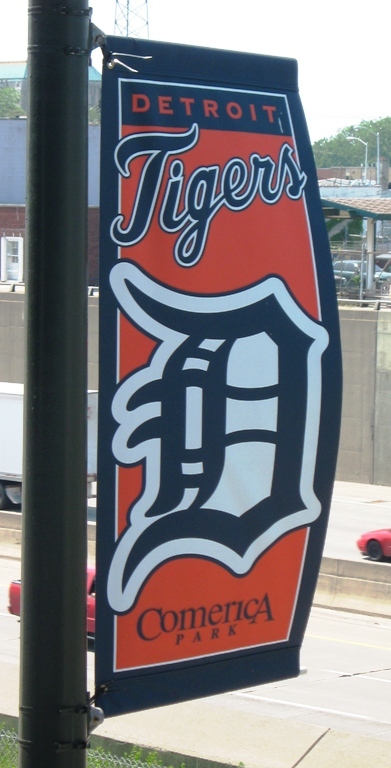 There are four bona fide Comerica Park restaurants, as in conveniently located, inside the ballpark sit-down eateries. 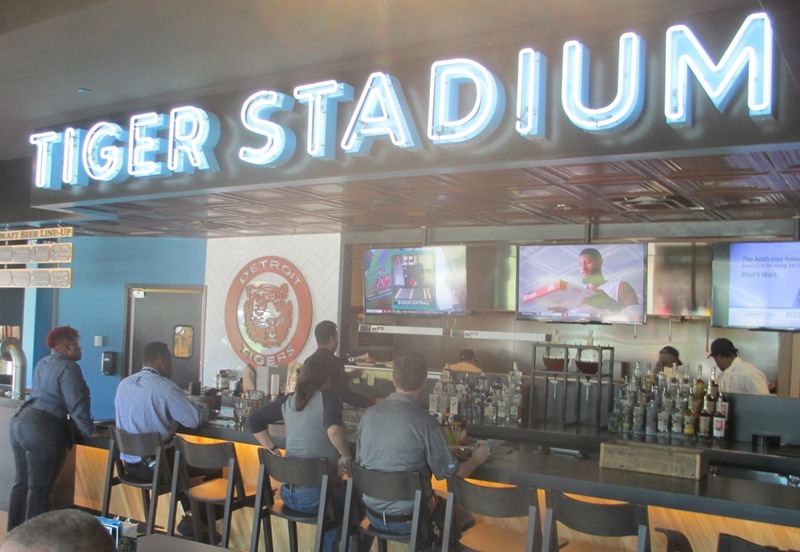 Before (and sometimes after) the game, fans can enjoy a meal and a drink or two with a view, or at least with TVs to watch. No, you can’t leave your peanut shells on the floor. Comerica Park Restaurants, #1) The Beer Hall. The Beer Hall is on the corner of Montcalm and Brush Street, and it was something of a tucked away secret entrance in the past to avoid main entrance lines (you might still be able to try it). 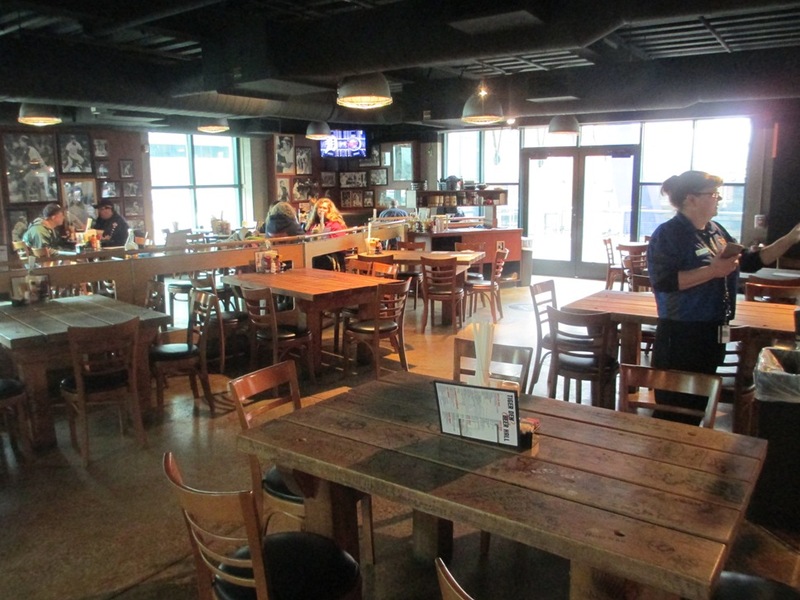 It has a 70-foot bar and wooden picnic tables, for that baseball festive atmosphere. The menu features grilled Angus burgers, Philly cheesesteaks, and pulled pork sandwiches, and there are lots of local and domestic beers on tap, hence the name. It’s not actually Tiger Stadium. Comerica Park Restaurants, #2) The Corner Tap Room. The Corner is located near the main entrance with the big tiger statue. It’s dedicated to the memory of Tiger Stadium, with pictures and memorabilia and such. They have indoor and outdoor dining here, but the outdoor option is on a sidewalk in a parking lot, so the indoor option with the cool décor is better. At the Corner you can choose from an “urban bistro” style menu; last I checked they had a grilled PB&J (!) and a footlong bacon-wrapped dog. Could be different by the time you visit, but I can tell you it’s fancier stuff than most ballpark food. Because when you think BBQ, you think Fox Sports Detroit. Comerica Park Restaurants, #3) The Brushfire Grill. The Brushfire is sponsored by Fox Sports as I write this, but it changes a lot. I think it might be called the 313 BBQ by now. It’s mostly just a food court with a big food stand on the side, but that counts. At the Brushfire there is a pork and beef brisket smoker for above-average BBQ sandwiches, along with burgers and dogs. Get a basket value meal with slaw, chips and a pickle. They’ve got black bean veggie burgers too, so you can sell it to your vegetarian friends. Featuring three TVs to distract you from the absence of bartenders! Comerica Park Restaurants, #4) The Miller Lite Pitcher’s Pub. You have to go upstairs and in the outfield for this one, so you can work up an appetite just getting there. 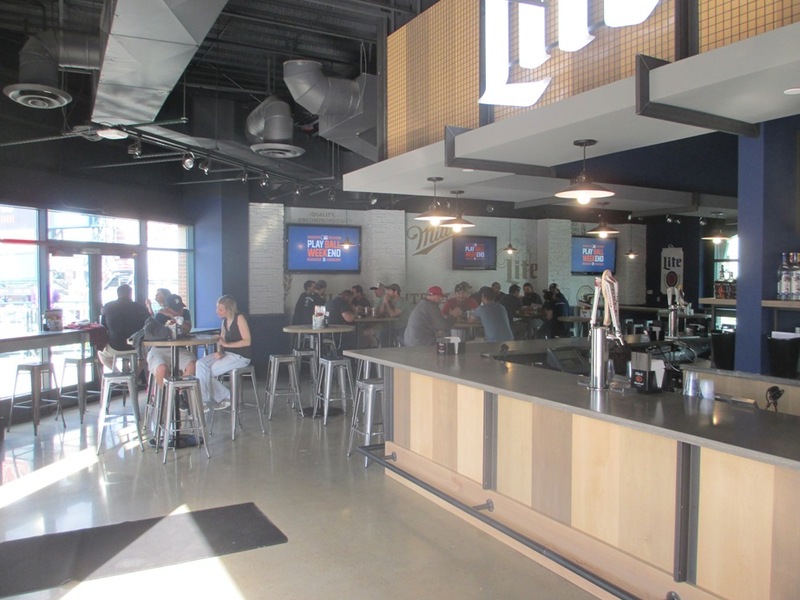 The Miller Lite Pitcher’s Pub is a larger sit-down eatery with a full bar; the menu is mostly fancy appetizers named for pitching phrases…the “Intentional Walk” is sloppy Joe stuffed potato skins with queso and scallions, for example. The Pub is good for just getting a snack on, and you can hang out outside at the nearby Pepsi Porch afterward. And still have an appetite left over for this stuff. 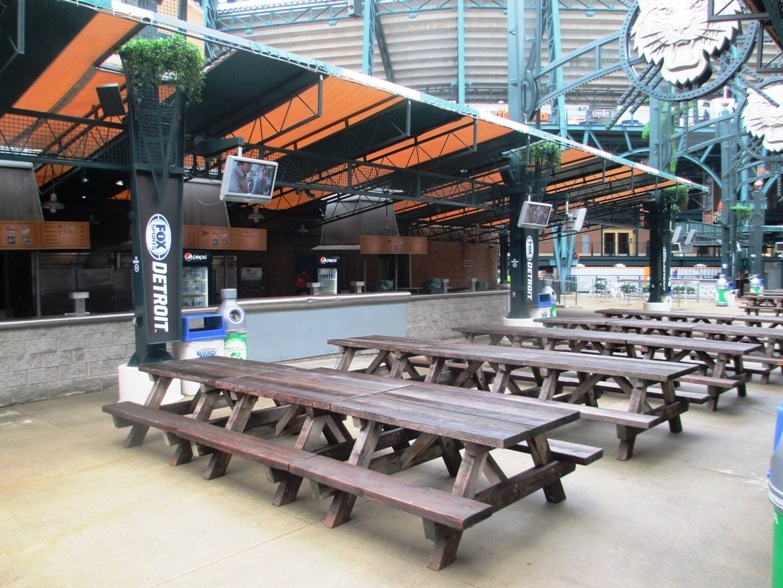 There you go; four restaurants at Comerica Park with something to offer for everyone. If you want to know about what to eat inside the ballpark, check out this post.